FINEX is a small team of Portland based craftspeople, cooks and designers dedicated to crafting cookware that will stand the test of time. 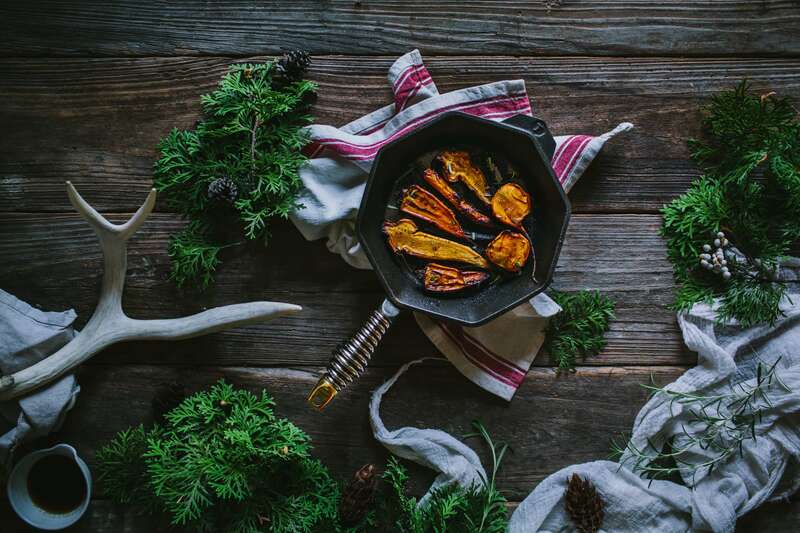 Their work is inspired by the hardworking history of American cast iron and grounded in the belief that cooking should be genuine – an experience you value and share with others. 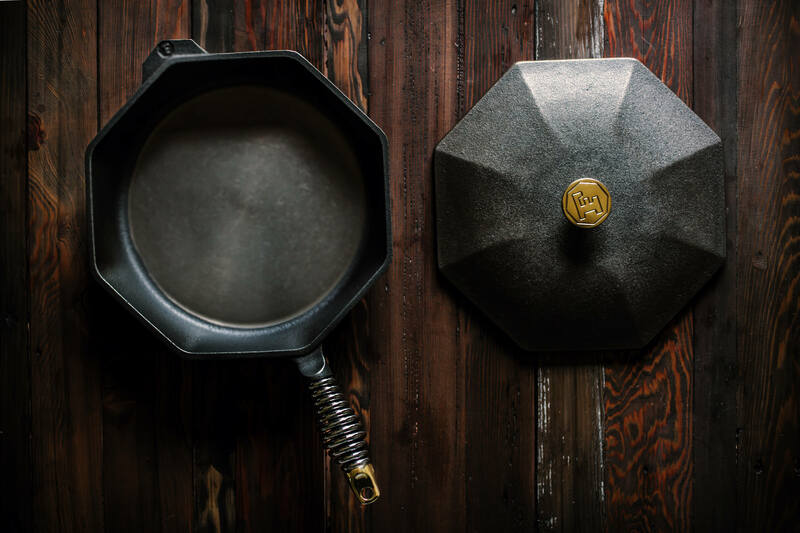 It’s these simple ideals that guide Finex as they reinvent cast iron cookware with modern design to enhance the life of every cook. Old-Fashioned Quality meets Ultra-Modern Design. Heirloom-grade craftsmanship and visually striking design that delivers hard-working cooking performance for generations. 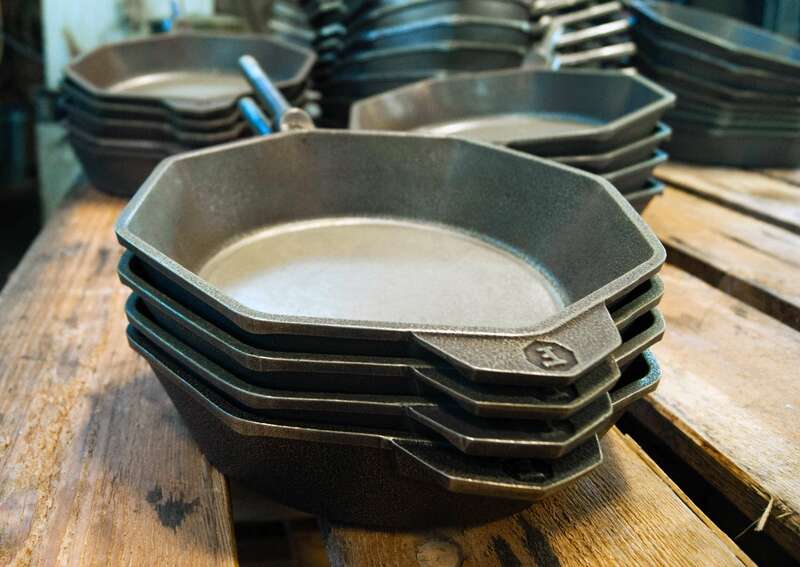 Finex pays homage to the best attributes of vintage cast iron cookware: machine-smoothed cooking surfaces, flax seed oil pre-seasoning and stone-tumble polishing. 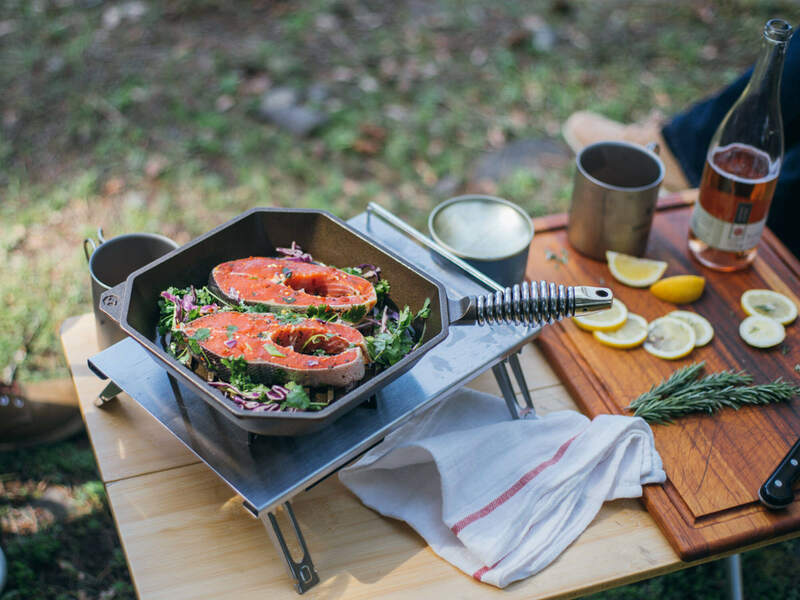 Finex cookware blends together traditional cast iron inspiration with modern functional design elements to give you the best experience and performance whenever and wherever life wants you to cook. Natural near-nonstick performance with a cooking surface that’s simply cast iron and organic flaxseed oil. A “Speed Cool” handle inspired by antique wood stoves, designed to temper heat and feel great while in use. 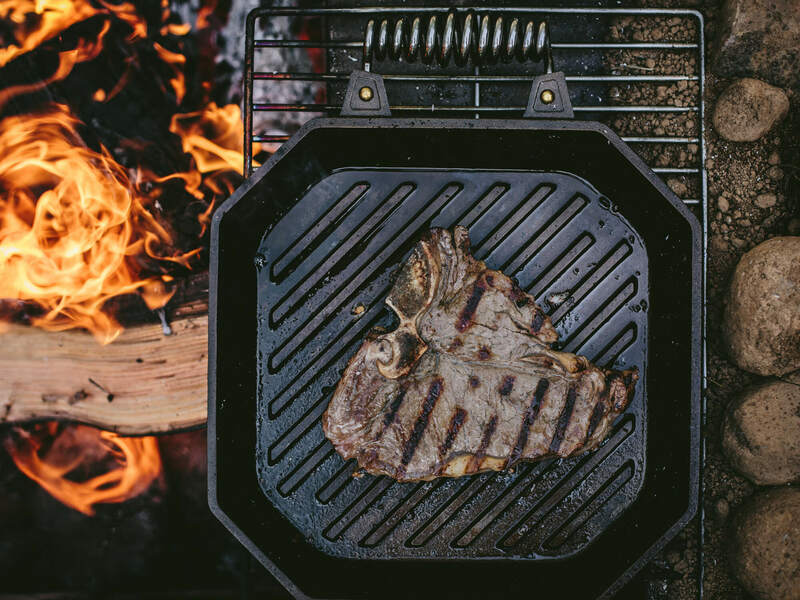 FINEX cookware is equally at home on the stove, in the oven, on the grill or over a bed of coals. The patented octagonal shape? It’s not just for looks – the sides make it easier to release cornbread and each spout is another opportunity to pour soups and stews without dripping on the table. Hand seasoning each pot and pan is a tedious extra step, but we know it’s worth it. The result means eggs and other delicacies slide easily and sauces won’t stick. You’ll love cooking with it indoors and out, on any heat source—including induction. 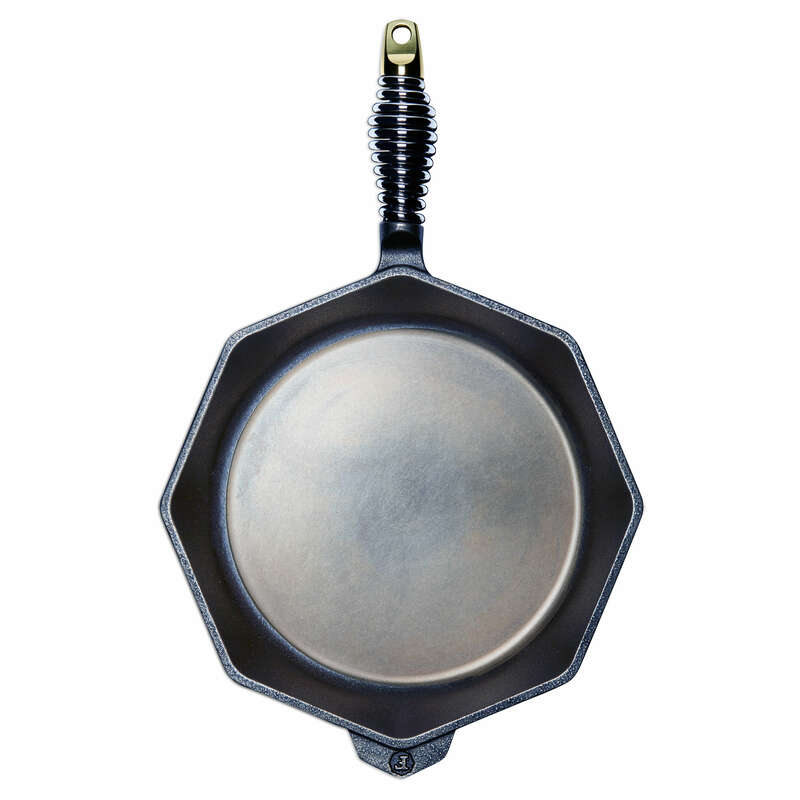 Inspired by antique wood stoves and made from stainless steel, our ergonomically designed spring handle stays cool longer—no need for mitts when frying an egg. Feels great in your hand too. Designed to be the most loved piece in your kitchen, destined to be an heirloom. 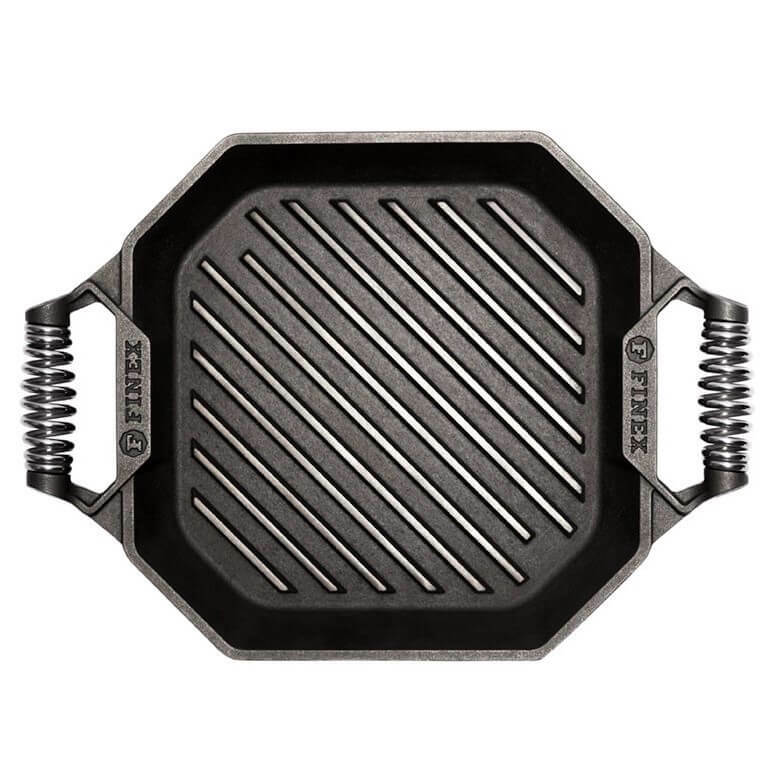 Heavy-gauge cast iron forms a foundation for even cooking across any heat source. 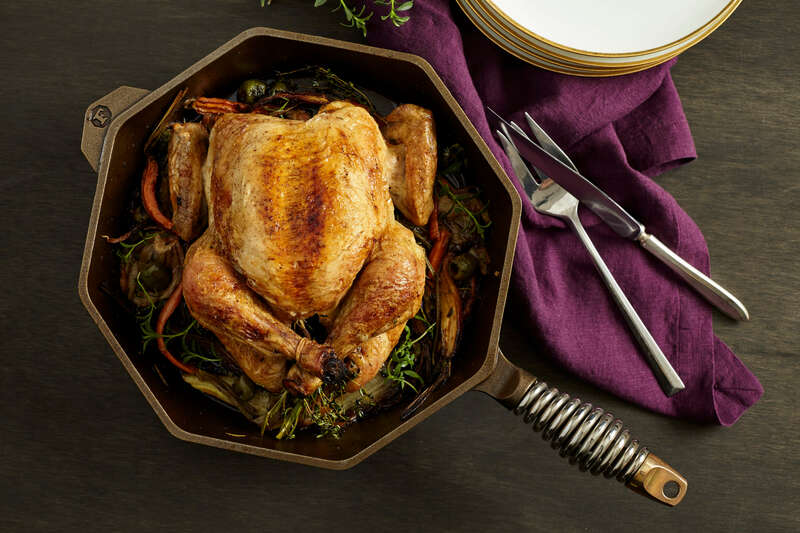 Liberty Tabletop is proud to offer three different cast iron skillet options: 12″ Skillet with or without the lid, 10″ Skillet with or without the lid, and 8″ Skillet. 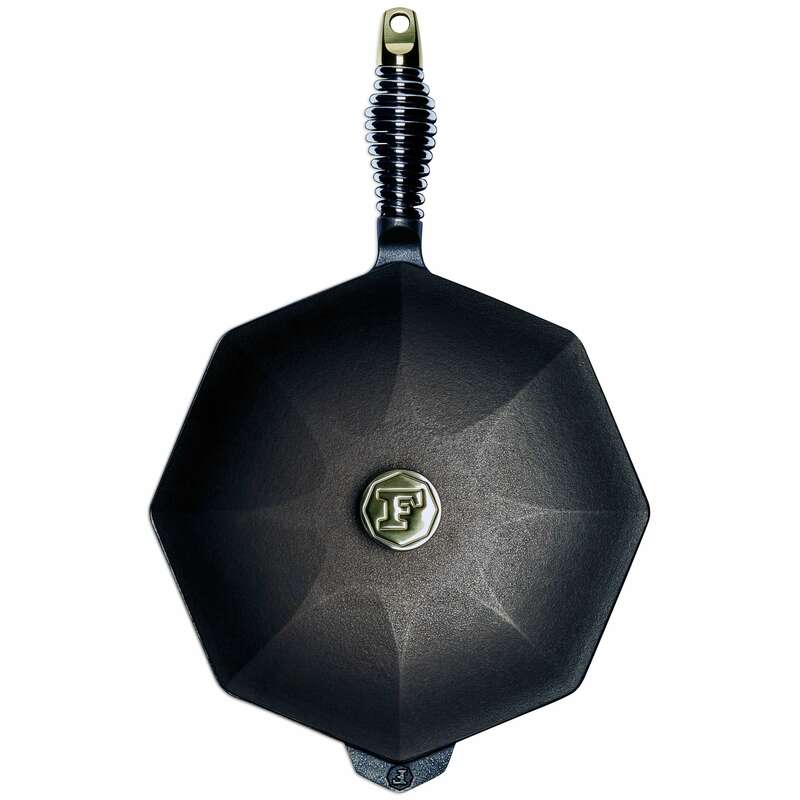 All FINEX Skillets feature a stainless-steel “Speed Cool” handles, an octagonal shape, and a machined cooking surface. 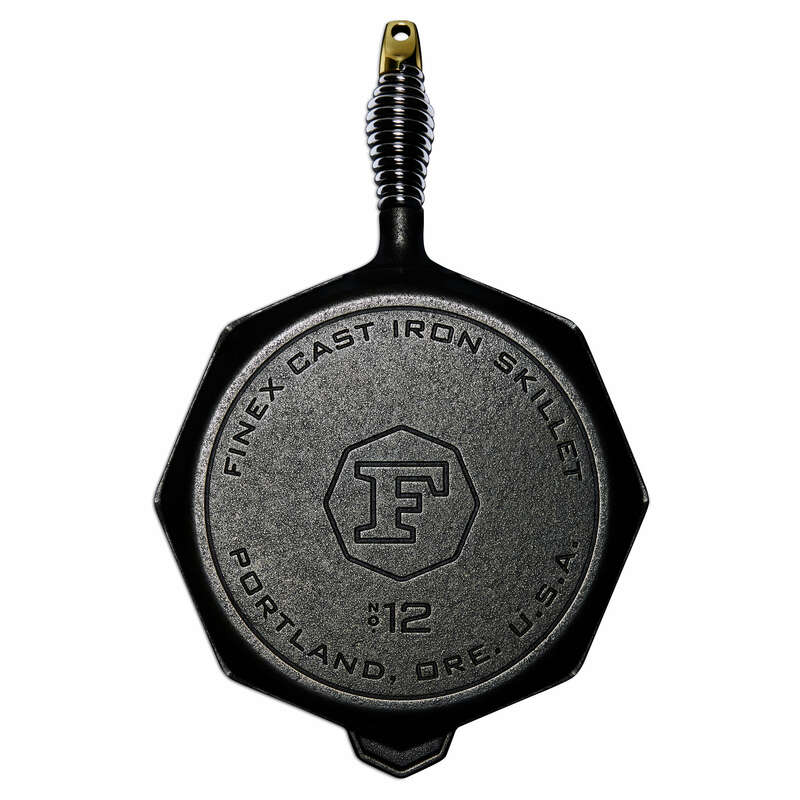 These skillets, like all FINEX’s Cast Iron Products, are proudly Made in Portland, OR! Honest grilling is about more than grill ribs heavy enough to sear – it’s about a sharing a style of variable-heat cooking that encourages a bold, hands-on approach. FINEX grill pans are built with the biggest ribs in the game, set wide to allow for radiant heat from below. 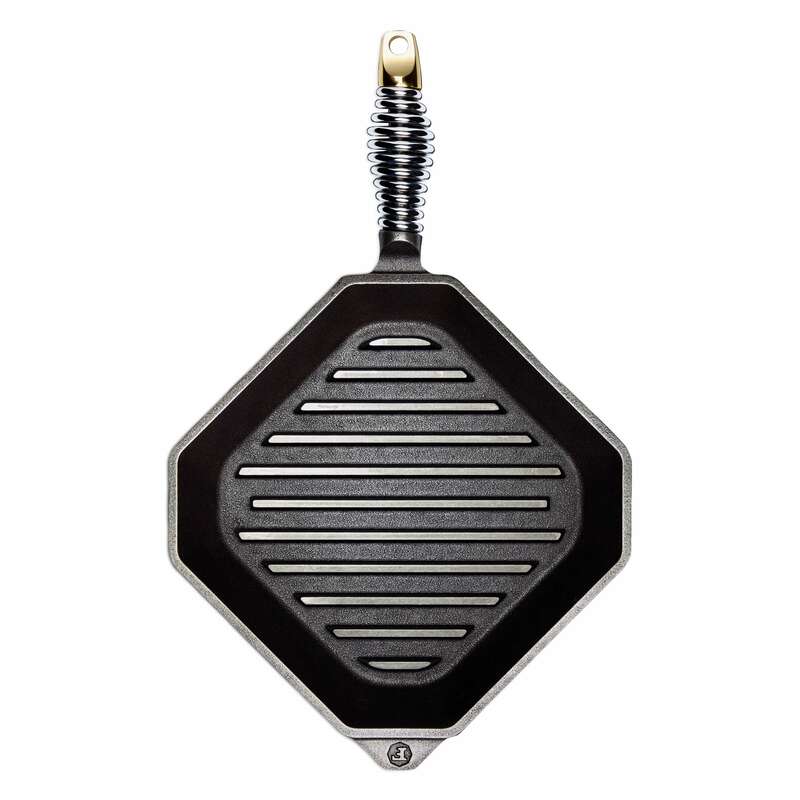 But just as importantly, they’re designed with an attention to detail that’ll encourage you to share your own honest grilling anywhere, on any heat source, any time of the year. 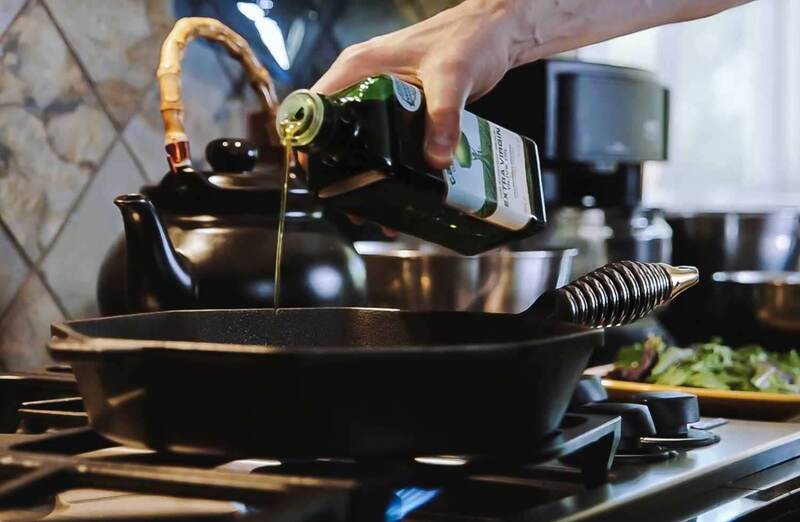 Right before the final quality check, FINEX coats the cookware cooking surfaces with organic flaxseed oil for a durable, stick-resistant finish that’s ready to cook with out of the box. Before you use your new FINEX piece for the first time, give it a quick rinse with warm water and dry it completely to remove any sediment that may have settled in the cookware. For your first few uses, add a little oil as you start cooking to help preserve the new coating. Over time, your FINEX cookware will continue to develop a natural seasoning, which will enhance the stick-resistant surface. For an even heating surface, preheat your cast iron pan before cooking. We recommend a medium-low heat for a few minutes. Cast iron can take longer to warm up, but it holds on to heat longer, too. 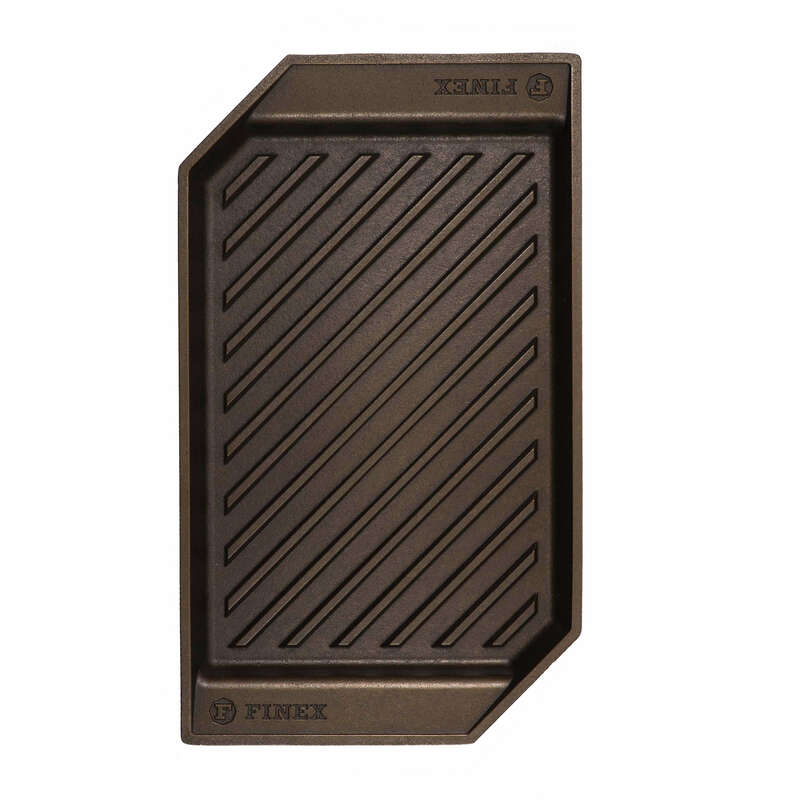 FINEX’s thick-wall design provides even heat distribution and retention for searing performance unlike anything else on the market. Perfectly crispy skin and golden brown edges are just minutes away. For easy cleaning, simply scrape off food and rinse using hot water. 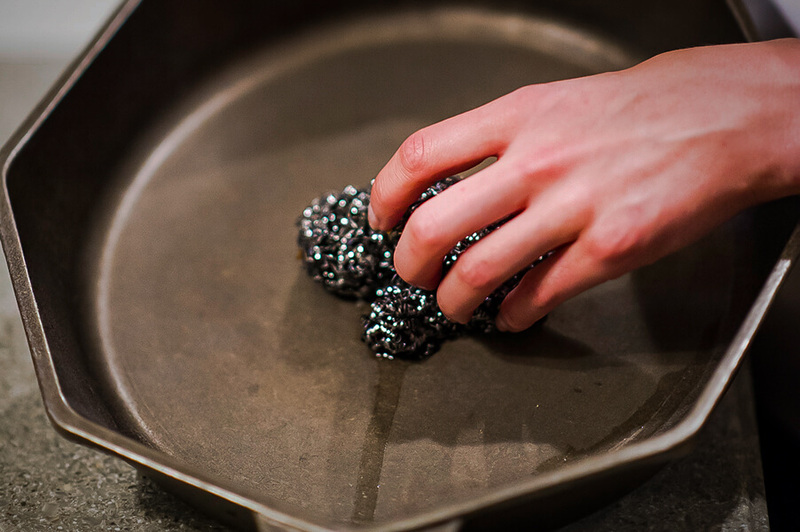 For tougher cleaning jobs, use a stainless steel scrubber to remove tough, stuck-on food bits. Use a dab of soap if necessary. Never put your cast iron in the dishwasher or let it soak for long periods of time. Warm your cast iron on the stove using medium-low heat. 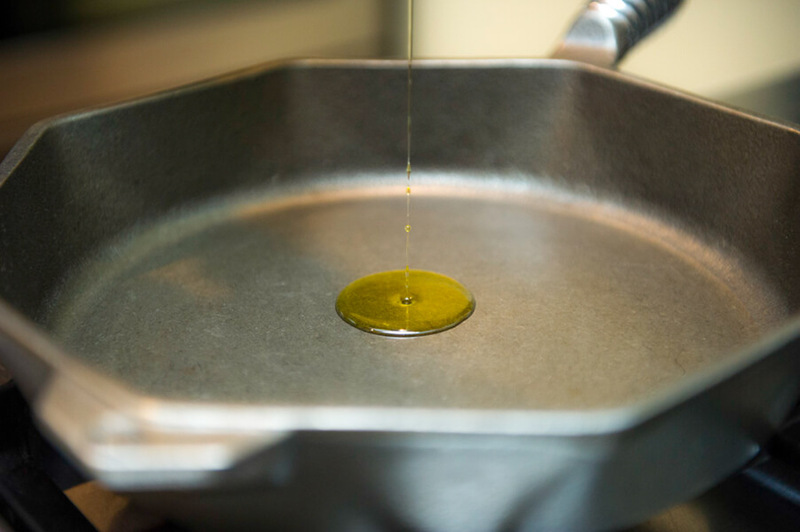 Then, apply a very thin layer of oil (any vegetable oil you like) and work thoroughly into the pan. Be sure to wipe off any excess. Let it cool and store for your next use. 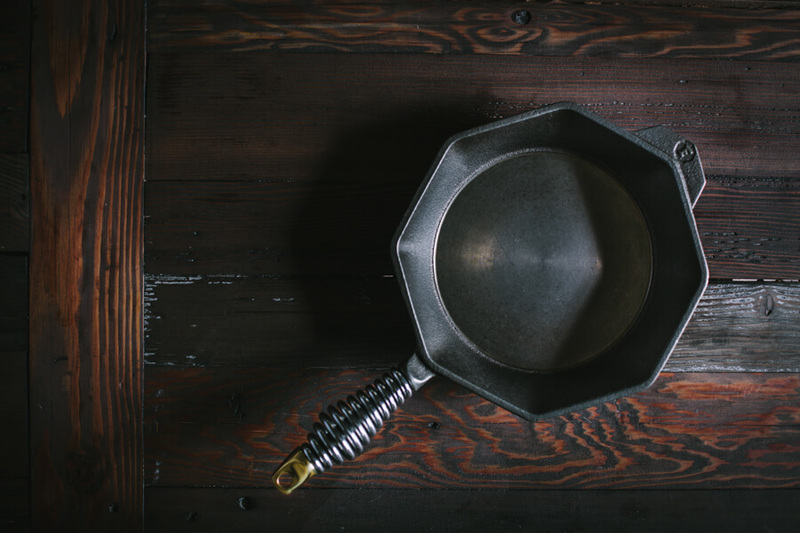 Applying a little oil to your cast iron protects the natural seasoning you’ve worked hard to develop and it also provides protection against moisture and corrosion when storing. Cast iron is very durable and forgiving. Scorched, scratched or rusted pans can be returned to perfect working condition with a little elbow grease and some quality oil. Preheat your oven to 400 degrees. If your pan has rust, gently remove it using steel wool. Wash and dry your cast iron cookware thoroughly. Once completely dry, apply a very thin layer of flaxseed oil to the entire surface of your cast iron pan (including the outside surface). 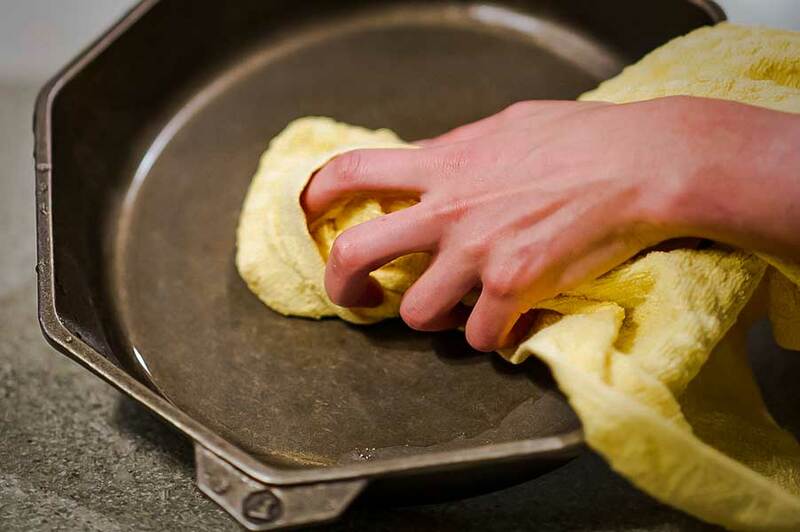 Wipe off any excess oil, then place the pan in your preheated oven. Bake the pan for one hour at 400 degrees. You can repeat this process to build up your seasoning and maintain the pan for generations.